Remove the husks and silk from the corn and rinse with water. 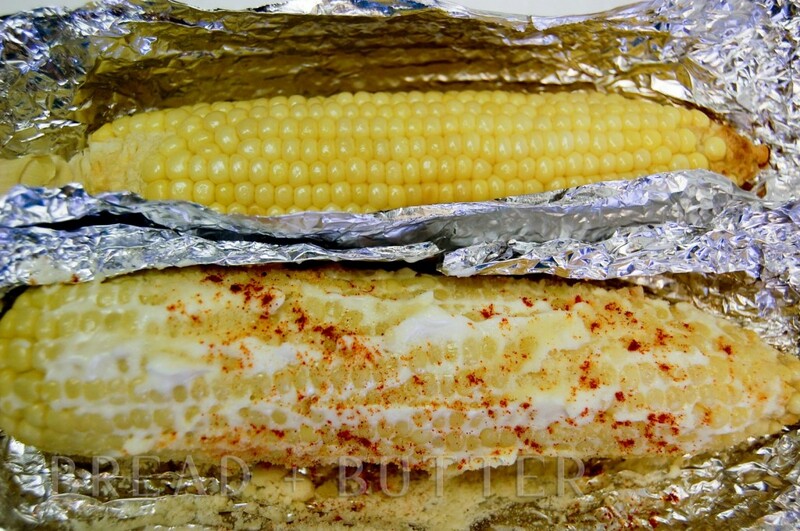 Pat them dry and spread a little butter or margarine on the corn before wrapping them individually in foil. Place on the middle rack in the oven and roast them for 30min. Spread as much or as little of the topping as you like. Note: If you plan on leaving the husks, Just remove the silk. Spread a little of the butter and refold the husks back into place. Put them directly on the oven middle rack and roast for 30 min.